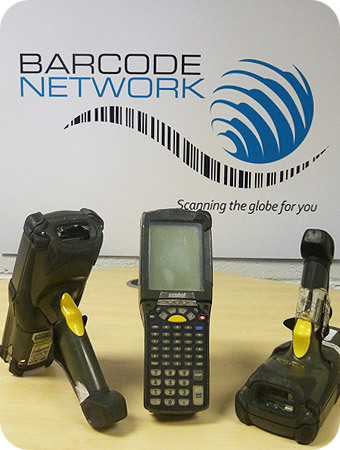 A large retail chain in the UK were de-installing a massive volume of receipt printers. They had been quoted for disposal from various Weee recycling companies with incredibly high removal and logistic charges. After receiving the part number, condition and quantity we got working on the case. We got back to the retailer within 2 days and brought their entire estate for over £15,000. We put over £15,000 back into the IT budget. Saved the retailer thousands in disposal and logistics costs. We organised and paid for all collections and service. This reduced the environmental impact by not sending to landfill. We provided a swift and easy transaction to our customers delight. One of our resellers approached us and gave us the challenge of finding their end user a hard to source, end of life product in quantity. Their customer is one of the top five retailers in the UK, whose requirement was for an excess of over 500 devices. These Intermec hand held terminals were obsolete and no longer manufactured by the OEM. Effectively the units didn't exists, until we got involved. We asked for the part number, quantity, time scale and budget for their requirement. Using our large network of suppliers, we managed to source the units within the set time frame and budget for the entire quantity. Our VAR was in competition with 3 of their competitors. Due to the excellence we provided, our customer secured the lucrative hardware business and boasted them to the top of the list of suppliers for Epos and Auto ID equipment.